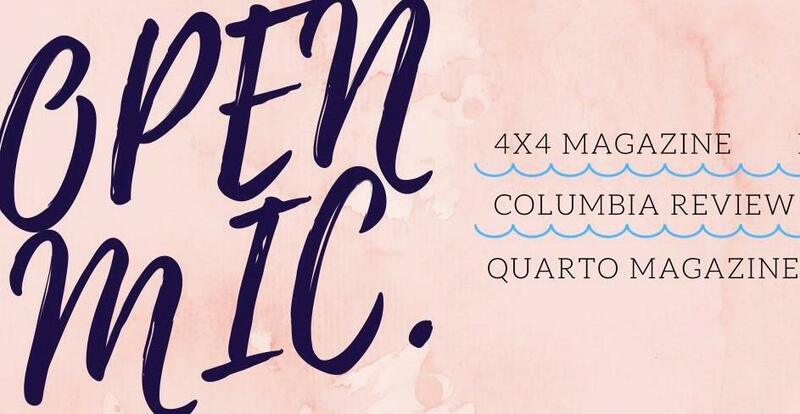 4x4, the Columbia Review, and Quarto will be hosting a joint open mic reading this Thursday (2/8) at 8:30PM in 501 Dodge. Please come and share your stories, poems, essays, and whatever else you like! Refreshments will be provided. https://docs.google.com/forms/d/e/1FAIpQLSfh7zJncYxQSW7u9O42YRm5L2e9PaY9nchEE3jN_d3Fk2FrjQ/viewform?usp=sf_link. However, if you decide you want to read while at the reading, that's fine, too. Just let a member of Quarto, 4x4, or the Review know, and we'll add you to the list. Can't wait to see you all there!